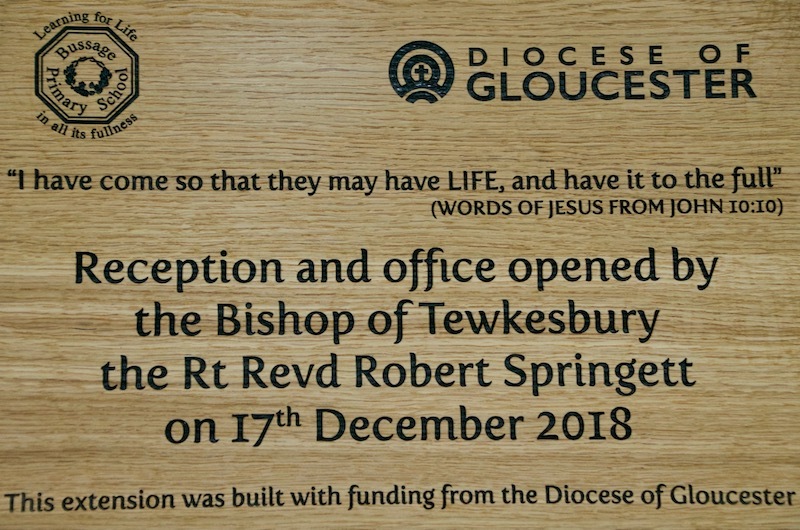 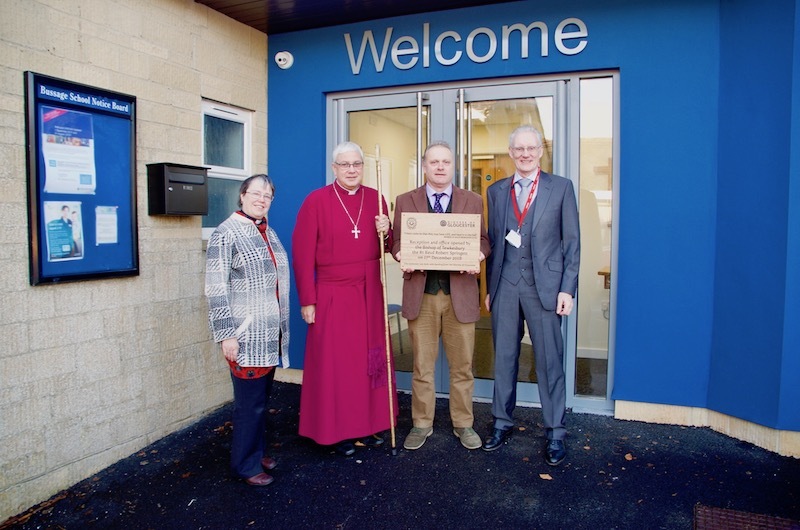 On Monday the 17th December we were delighted that the Bishop of Tewkesbury, Rt Revd Robert Springett, came to Bussage Primary School to officially open our new reception area and office. 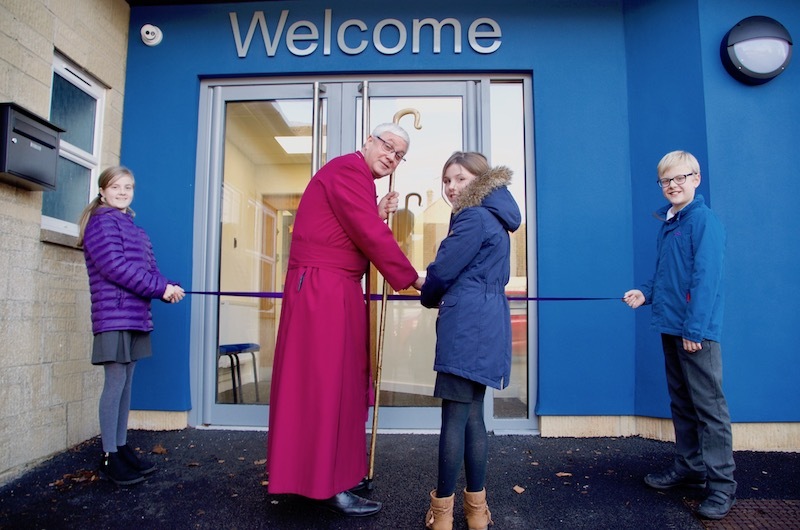 After a brief ribbon cutting ceremony, the Bishop then attend a special assembly. 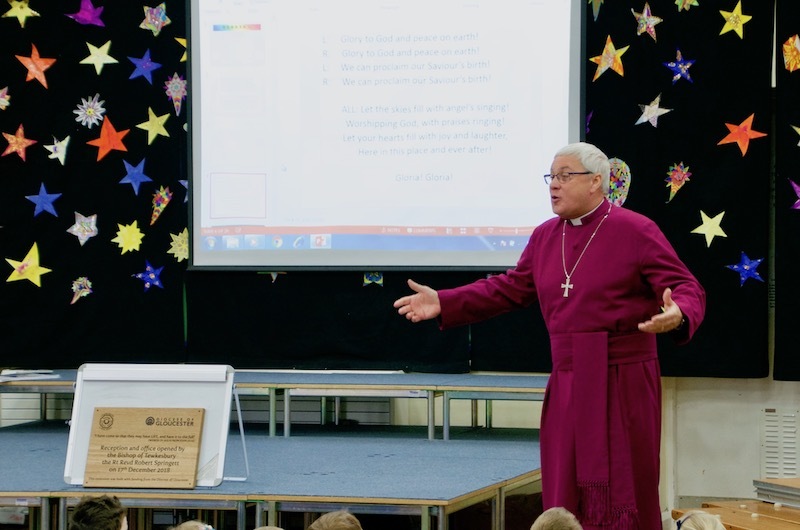 Thank you to everybody that attended and helped to set up the event.